It would be fair to say that I’m a lover of gin. I throughly enjoy a nice ice cold gin and tonic on a hot summers day and I’m rather partial to a fruity gin cocktail. I haven’t quite got enough hairs on my chest to go all out on a negroni yet but I’m sure that’ll change one day. We always have a couple of bottles of gin in the flat, currently Tanqueray and Monkey 47, in case you’re interested. Because you never know, you know. It’s clear I like gin but I’ve never cooked with it. 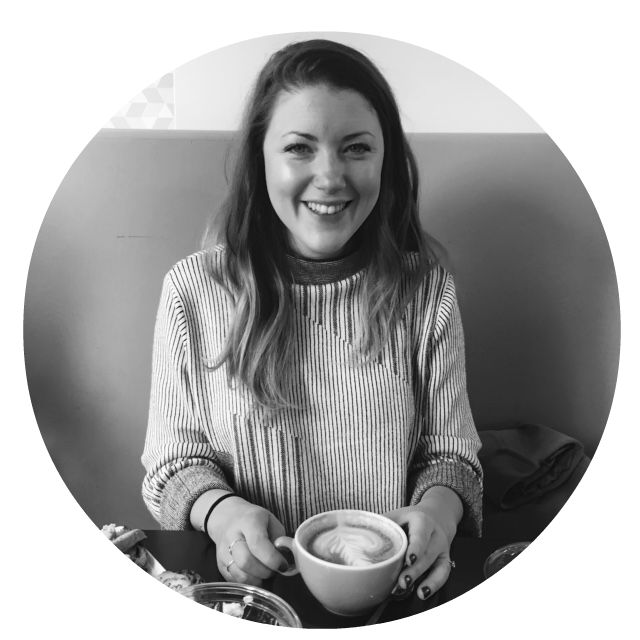 So when Brockmans gin approached me to create a recipe using their fine gin I took up the challenge with delight! Brockmans gin is smooth and has wonderful berry flavours, especially blackberry. I honestly don’t always notice the subtle flavours of gin, but as soon as I opened the bottle I could smell the beautiful blackberry aroma! 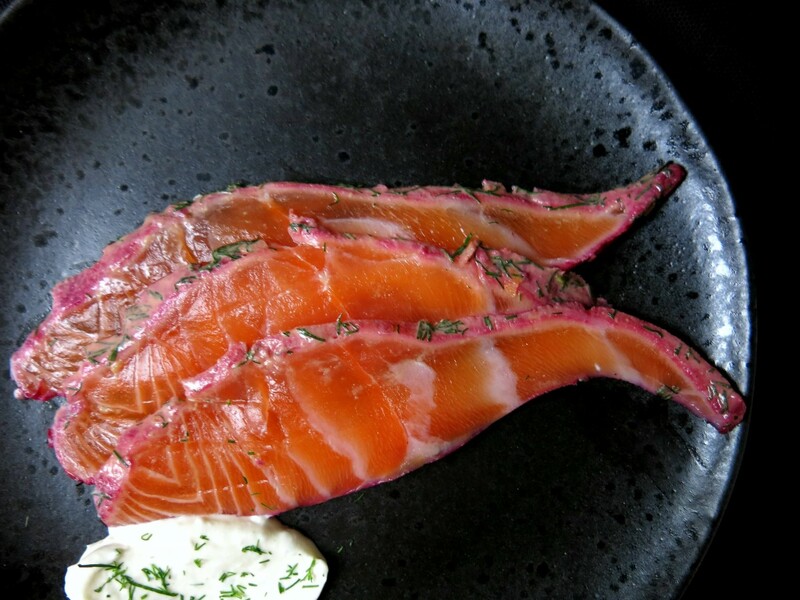 I have wanted to cure my own salmon for a while now and I’ve grown up around delicious gravlax so I thought this would be a great excuse to create my own recipe. 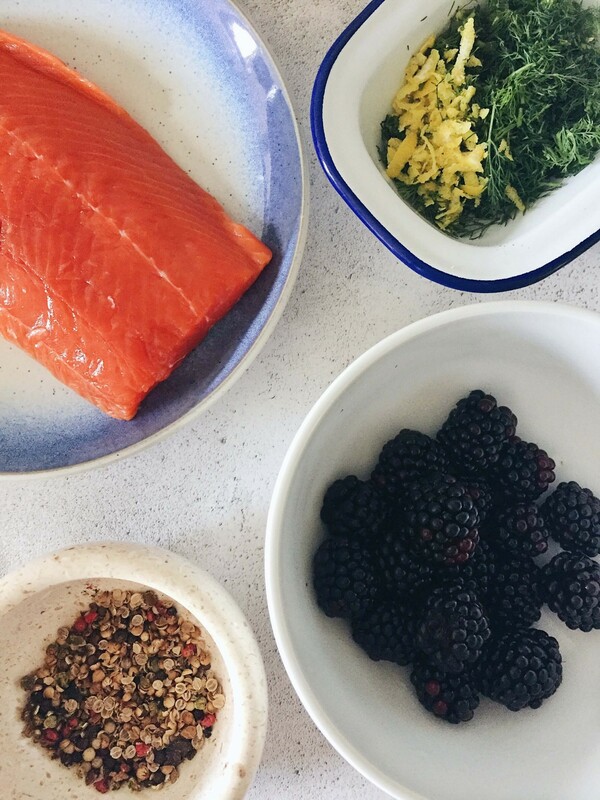 The curing ingredients are perfect partners for the blackberry notes in the gin and I knew the blackberries would give the salmon a beautiful pinky hue. The curing time is only 28 hours. So you can make it the day ahead, but I promise it’s a nice and simple recipe to follow. I know it’s not that close to Christmas but I think this is a great restive recipe to pull out when you have friends and family over for dinner or even for a little party and you want to create some pretty looking canapés. 1. In a bowl, crush the blackberries with a fork to create a juicy pulp. Put to one side. Finely chop 2/3 of the dill and put the un-chopped dill back into the fridge. 2. Next create the curing mix. In a large bowl combine the crushed blackberries, chopped dill, salt, sugar, coriander seeds, peppercorns, zest and juice of 1 lemon and Brockmans gin. Mix until well combined. 3. Spoon half of the mixture onto a large baking tray, covering an area approximately the size of the salmon. Lay the salmon on top and cover with the remaining marinade mix. 4. Cover tightly with cling film and refrigerate for 24 hours. You should turn the salmon once in this time and recover with cling film. 5. After 24 hours has passed lift the salmon out of the marinade (keeping the mixture in the tray) and wash the salmon to remove the salt. Pat dry with kitchen roll. Return the salmon back to the tray and place on top of the marinade. 6. Finely chop the rest of the dill and in a bowl combine the mustard, juice and zest of 1 lemon and dill. 7. Spread the mustard mixture over the top of the salmon. Cover with cling film again and put back into the fridge for another 4 hours. 8. To make the horseradish crème fraîche combine the crème fraîche, horseradish, lemon juice and dill. Refrigerate until needed. 9. After 4 hours, take the salmon out of the mixture and brush off the excess mustard. Slice the salmon thinly. 10. 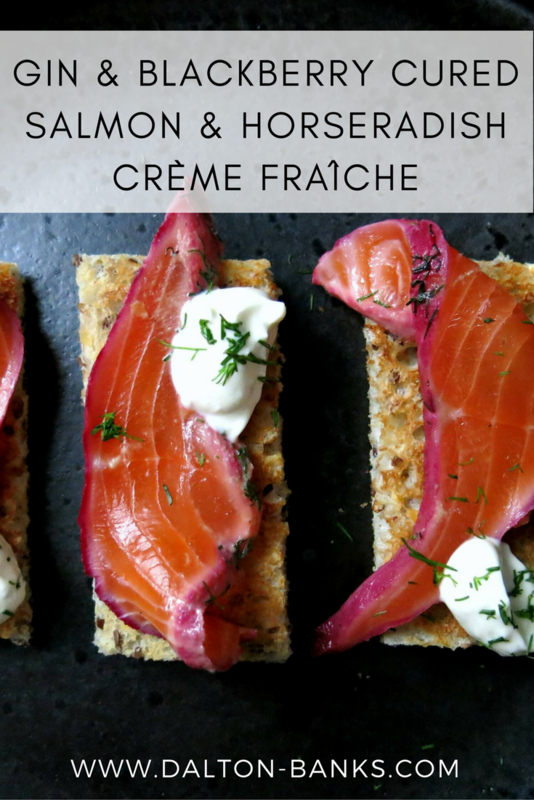 To serve as a starter for 6 people, simply place about 3 slices of salmon onto a plate with a spoon of the horseradish crème fraîche. 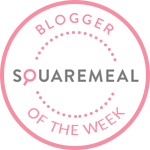 Or, to serve more like canapés, toast your seeded bread (I used a dense soya and linseed loaf) and slice off the crusts of each slice and cut into three small rectangular pieces. 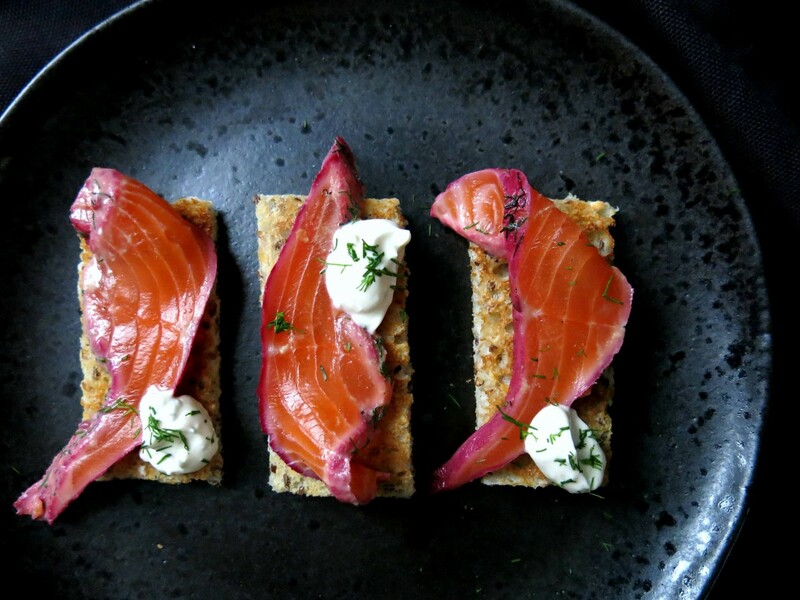 Do this for all the slices and top with a small slice of salmon and dollop of crème fraîche. *I was sent a bottle of Brockmans gin, but as always views remain my own and recipe creation was fully my own.